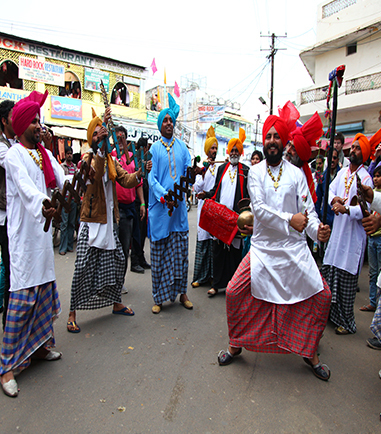 Vocal and Instrumental Holi - the festival of colors, the revelry of drenching and that of generous ..
Jangam is a style of devotional music sung by groups of followers of Lord Shiva (the destroyer from ..
Kafi is a style of music that utilizes the verses of Sufi poets like Bulleh Shah, Shah Latif, Baba S..
Kalbeliyas are a wandering tribe of gypsies native to the regions of Barmer, Jodhpur, Ajmer, and Jai.. 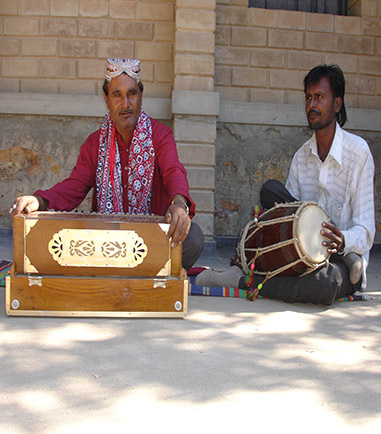 The Kamaycha is a very popular instrument that is particularly used by the professional singing Mang.. 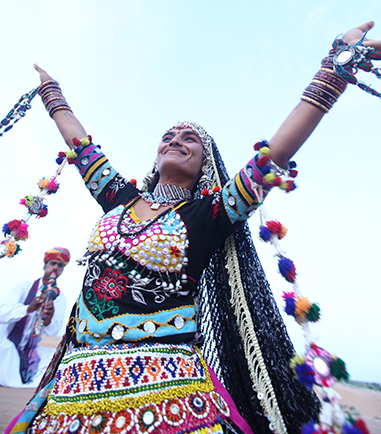 The word ‘Kavishree’ translates to ‘ocean of poetry’. 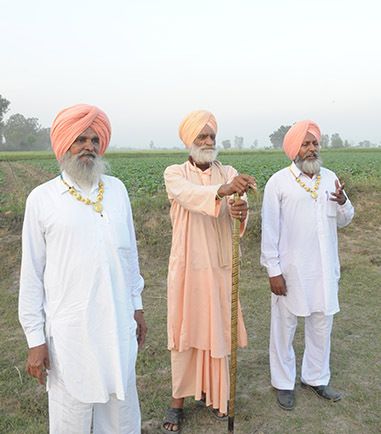 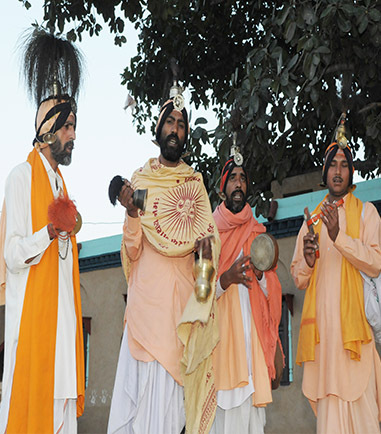 It is a form of entertainment that uses speech..
A Madal is basically a drum with a hollow wooden body that has the same diameter from end to end and..
Malwai Giddha is a traditional dance form of Punjab performed by the men as they sing and dance simu.. 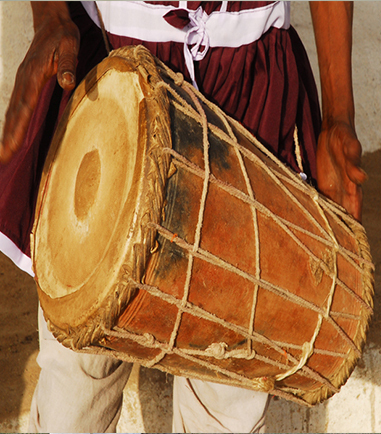 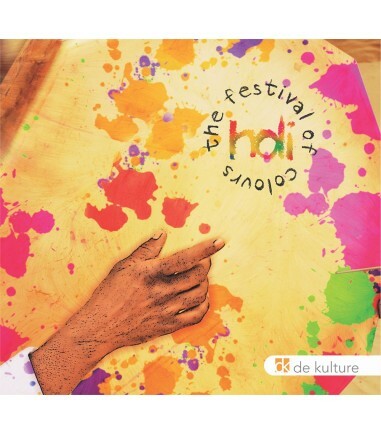 This Indian instrument is the most common accompaniment for renditions of devotional music and chant.. 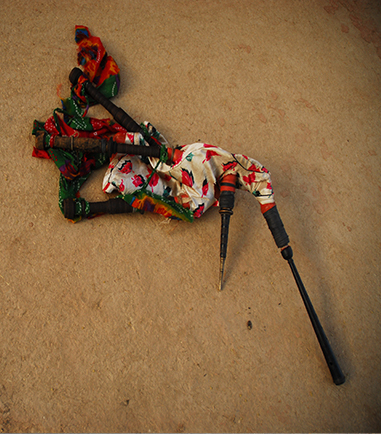 The Mashak is the Indian Bagpipe comprising of single reeds and can be played either as a drone or m.. 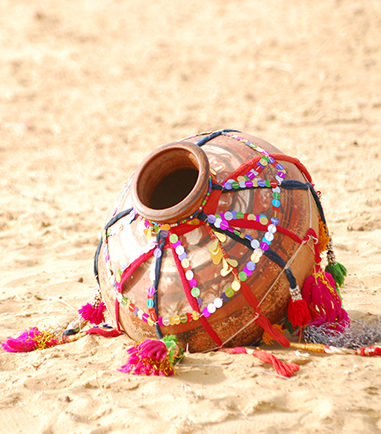 The Matka, commonly used to carry and store water is an everyday object like the Thali. 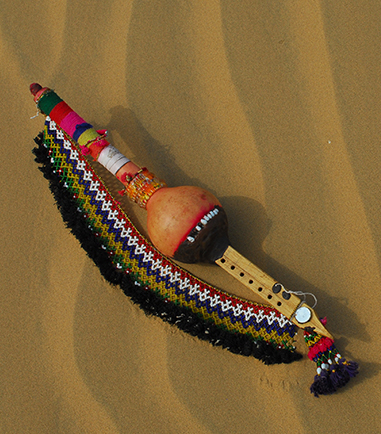 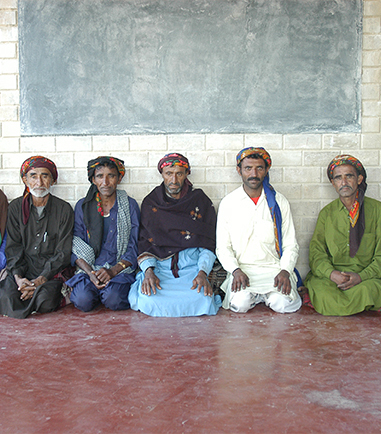 It doubles u..
Having originated in the Arabian Peninsula, Maulud style of music literally means prayer in Arabic. 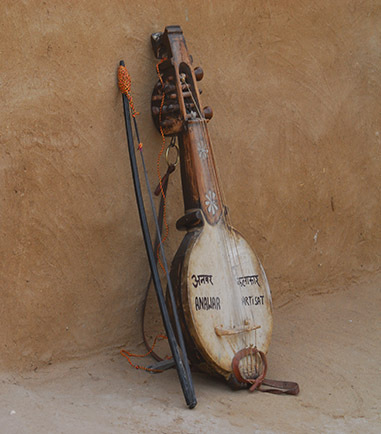 ..
Murli, also known as Been is a woodwind instrument and possesses an incredible quality of simultaneo.. 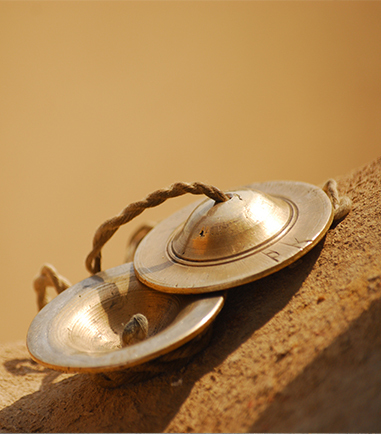 Such is the surprisingly unique ways in which the need to create music and performing arts come to e..
Pad literally means a verse. 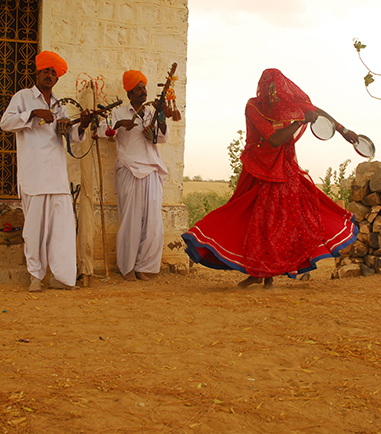 This genre of Rajasthani devotional music does not imply very complex r..